Few days back, I was invited to an exclusive Chambor Boutique launch but unfortunately I couldn't attend it because I stay in West Bengal and it was not possible for me to travel with a small kid. Anyways, here's the info sent by the PR. Leading make up brand Chambor Geneva has taken the city of Bangalore by storm with the launch of its first exclusive store at Phoenix Market City Mall. 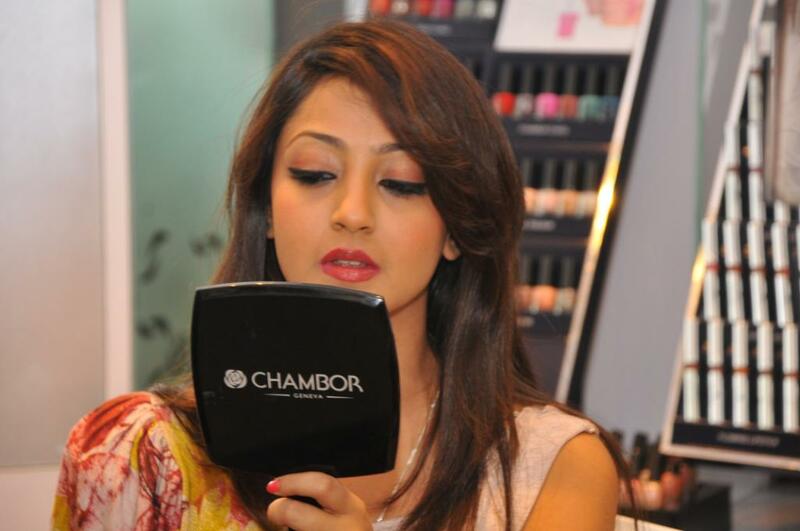 Fashionista and acclaimed Kannada Actress Aindrita Ray inaugurated the store and got a stunning makeover by Chambor’s team of makeup artists. While Chambor cosmetics are available to customer at all leading departmental stores with over 380 counters across India, the launch of this exclusive boutique is said to be the perfect way for consumers to discover and experience, first hand, the brand’s range of colour cosmetics, skincare and expert advice. 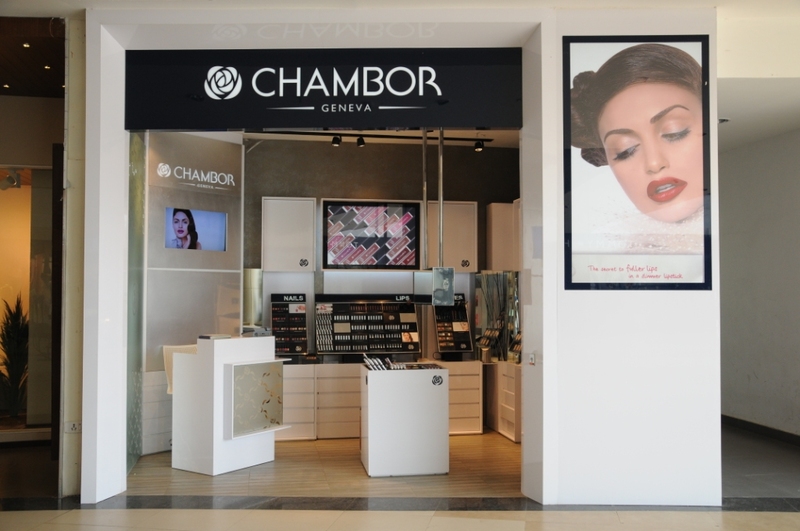 When in the store, customers get a walkthrough of Chambor's vast range of products such as foundations, concealers, eye makeup, lip and nail colour,etc,exchange tips and ideas with the makeup artists and also get professional advice on how to choose the right product to suit their skin type. And that’s not all! The store is also an academy in itself.Teaching is a key component of Chambor's philosophy. Women can walk into the store for personalized lessons and makeup tutorials on Eye makeup techniques, Face makeup techniques, Evening makeup session, Bridal makeup sessions and many more other techniques and tutorials. Before applying any make-up, each artist takes into account a woman’s personal style, lifestyle and preferences. The boutiques’modern and hygienic aesthetic is reflected in architectural details such as plush interiors, suave flooring and beautiful lighting, which aims to evoke the ambience of a chic Soho loft. A lot of tables have been provided which creates a warm and welcoming environment for the consumer and friends to trial products at their leisure or enjoy on-the-spot make-up lessons from Makeup Artists.This boutique provides its customers with a larger than life shopping experience, which will indeed be a memorable one! I will keep you guys updated with the additional information I get.